The stock ended 4% higher at Rs 33.40, bounced back 13 per cent from its intra-day low on the BSE on back of heavy volumes. Shares of Vodafone Idea ended 4 per cent higher at Rs 33.40 apiece on Wednesday. The stock bounced back 13 per cent from its intra-day low on the BSE on back of heavy volumes. The stock of telecom services provider slipped 7 per cent to Rs 29.65 on the BSE in intra-day trade after the company announced its board approved rights issue of Rs 25,000 crore at price of Rs 12.50 per share in the ratio of 87:38. The trading volumes on the counter jumped four-fold with a combined 140 million equity shares changed hands on the NSE and BSE on Wednesday. “The Board has today approved issuance of 20 billion fully paid up equity shares (face value of Rs 10 each) at a price of Rs 12.5 per share by way of a rights issue to the eligible shareholders as on the record date April 02, 2019. The rights entitlement is determined as 87 equity shares for 38 equity shares held by the eligible shareholders. 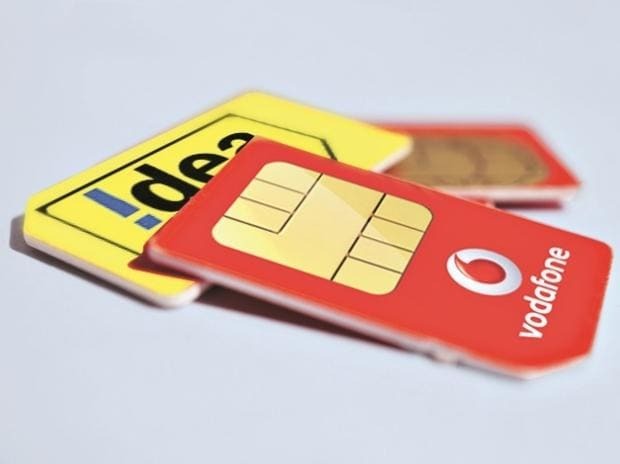 The issue will open on April 10, 2019 and will close on April 24, 2019,” Vodafone Idea said in a regulatory filing. The Promoter shareholders (Vodafone Group and Aditya Birla Group) confirmed their participation of up to Rs 11,000 crore and up to Rs 7,250 crore respectively; in excess of their combined current entitlement. Furthermore, certain Promoter shareholders have also indicated that, in case the rights issue is undersubscribed, they reserve the right to subscribe to part or whole amount of the unsubscribed portion, subject to the applicable laws. Meanwhile, the rating agency India Ratings and Research (Ind-Ra) has downgraded Vodafone Idea’s (VIL) long-term issuer rating to ‘IND A+’ from ‘IND AA-’ and placed it on rating watch negative. “The downgrade reflects the weakening of VIL’s business and financial risk profile amid continuing pricing pressures in the Indian telecom industry. VIL’s subscriber market share (visitor location register) declined around 170bp while the revenue market share declined 130bp during 3QFY19. This is against Ind-Ra’s expectation of a stabilising market share. Competition persists in the sector with VIL and Bharti Airtel’s tariffs (in INR/gigabyte terms) remain at a 25 per cent-30 per cent premium to others’, thereby putting VIL’s market share at risk,” Ind-Ra said in a report dated March 15, 2019. Ind-Ra understands that VIL is seeking near-term bridge funding to conserve the cash balances until the proceeds of the rights issue are available. A timely conclusion of the infusion remains critical for servicing debt in July 2019 (Rs 2,900 crore) and October 2019 (Rs 3,100 crore). While the Ind-Ra believes that there is a high probability of VIL successfully tying-up additional funds given financially resourceful promoters, timely tie-up of funds as expected without adversely impacting its near-term liquidity is a key rating sensitive factor, it added. In past one year, the market price of Vodafone Idea tanked 57 per cent, against 16 per cent rally in the S&P BSE Sensex.